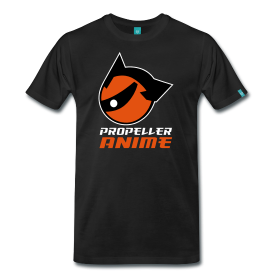 Propeller Anime: The Lineup For June 13th's Anime Nite Orlando! We're getting our ORAORAORA on this Thursday night! 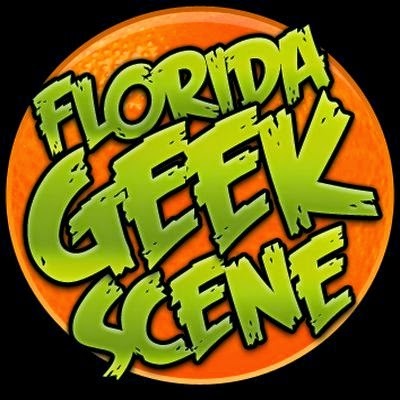 As you know, we have Anime Nite Orlando at Bikkuri Lounge on Thursday, June 13th! (RSVP on Facebook!) It will be an exciting time, because It's MANIME! 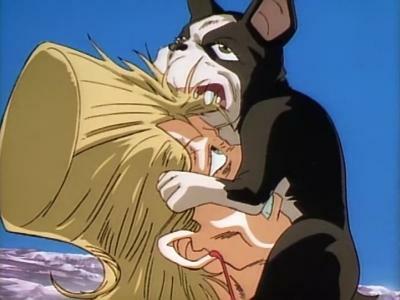 Nite which means we will feature several anime featuring manly men doing manly things. Plus there will be prizes, beef jerky, headbutts, arm wrestling, and more! You should know the deal by now. However, we know have our full lineup to announce so here is what we'll be showing this week! We're going to start off the night big with the classic and legendary Jojo's Bizarre Adventure: Stardust Crusaders! We've shown the new television series at our Best of 2012 event and also at Knightrokon. 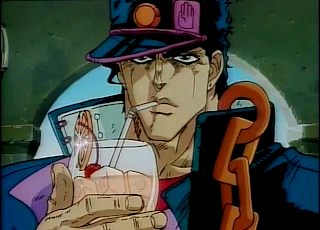 Now it's time for a new adventure with the third generation of the Joestar bloodline, Jotaro Kujo! Long story short, Dio Brando didn't die and has taken over the body of former foe Jonathan Joestar! This triggers the living members of the Joestar family to develop familiars called "stands." Except Jotaro's mom cannot handle that and will die unless Jotaro and friends go to Egypt and KILL Dio Brando once and for all! There is also a DOG named Iggy who is also a stand user. All the stands have their unique abilities and what is cool about Jojo's Bizarre Adventure is the outcomes of battle do not come down to who is strongest, but who is the most cunning. Next up will be poll winner Sakigake!! 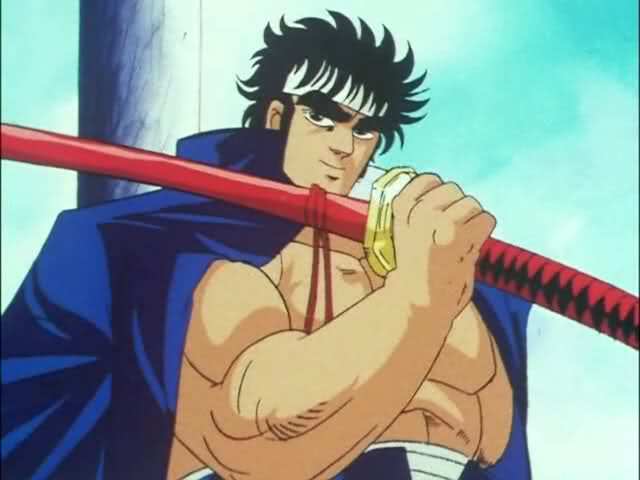 Otokojuku! At lot of staff who worked on Fist of the North Star worked on this and some would go on to work on some obscure anime called Dragon Ball Z after. Momotaro drops out of a prestigious high school to go to Otokojuku, a school that is the final chance for all of Japan's most fearsome delinquents. Why, you ask? TO REFINE HIS MANHOOD. Otokojuku isn't just any high school, it is the MANLIEST high school on the entire planet. 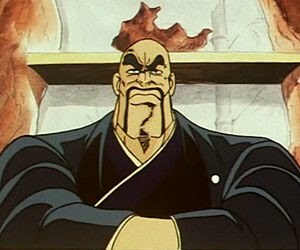 The mastermind behind this is Principal Edajima Heihachi. At this male-only school, students go through grueling training, harsh living conditions, and have life or death battles so that they can graduate and become the leaders of Japan's economic, political, military, and cultural sectors. It's a satire of Japanese nationalism that also celebrates the manly spirit. 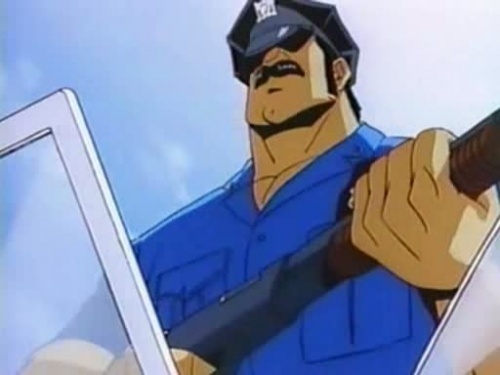 Mad Bull 34 is an anime that clearly demonstrates that the law and justice in America are two completely different things. In the worst district of New York City, the government is corrupt, cops are on the take, and gangs, pimps, and pushers have brought the city down to a whole new level of despair. But one cop has decided he will march on his own path of justice and take back District 34 by any means necessary! His partner is rookie cop and goody-two shoes Daizaburo "Eddie" Ban, who will be along for a wild ride and will have to man up if he plans to survive. Mad Bull 34 and this particular Anime Nite Orlando is not for the faint of heart and viewer discretion is advised. With that said, you must be over 18 years of age with a valid I.D. in order to enter Bikkuri Lounge. Once you're in, get ready for a very exciting night filled with testosterone, violence, tragedy, justice and more!